setting up that Christmas tree. on that they are agreed. Merry Christmas to those who are alone, working, or happily avoiding celebrations. PS. The shape was supposed to be a Christmas tree, but I’m thinking it looks more like an elf silhouette. What’s your take? My husband is not one for crowds, whether in malls or in his living room. He dislikes shopping. He thinks the house is full enough of ‘stuff.’ He dislikes forced traditions. He thinks gifts are wasteful and pointless. As a teen, he’d make his sister wrap all his gifts, including her own. In short, he’s a bit of a Scrooge. I’d bake up a storm (“I’m going to get fat!”), decorate the house (“There are fake pine needles all over the floor!”) and shop all year to fill stockings for the family (“We don’t need any of this!” or “I can buy my own socks and underwear!”). For years, I just picked up his slack and let him bah humbug to himself. There were never big, expensive of gifts, but there was a festive atmosphere, and sharing of home made clothes and baking, plus the items that would be cherished by the kids. One year (well over a decade ago), to my great astonishment, he gave me a big box. The kids sat with gleeful anticipation as I unwrapped consecutively smaller boxes. I got more and more curious. I’d had no expectations for a ‘big gift’ (having received absolutely nothing from him the year before), but all the chuckles, knowing looks back and forth between him and the children, got me excited. Maybe he was making up for the meanness of the previous Christmas. What was going to be at the end of all this? In the end, it was a ring box. Pretty as a picture. I stared at it in disbelief. He’d bought me jewellery? Aside from my wedding rings, he’d never bought me jewellery. It was a good company name. With joyful astonishment I opened the lid of the box. Inside was a little, round container of lip balm. I left the room. I wailed in the privacy of the bedroom. The year before, when “I couldn’t think of anything you’d actually like, so I decided not to get anything,” I’d been hurt, but this was, to my mind, deliberately malicious. To deliberately build up hope, and then to dash it for entertainment was not just in poor taste, it was deliberately cruel. It was the behaviour of a school yard bully, not someone who loves his/her spouse. I have had some experience with bullies. It was one of those ‘last straw’ kind of moments– the moment when one looks the bully in the eye and informs him that he is going to shape up, or life as he knows it will change. Some ‘little jokes’ are not appropriate, and they can have decisive, empowering consequences. I now buy myself Christmas gifts. I get whatever I want at whatever price. So far, I haven’t bought myself a yacht or cottage, but I could (in theory, at least). 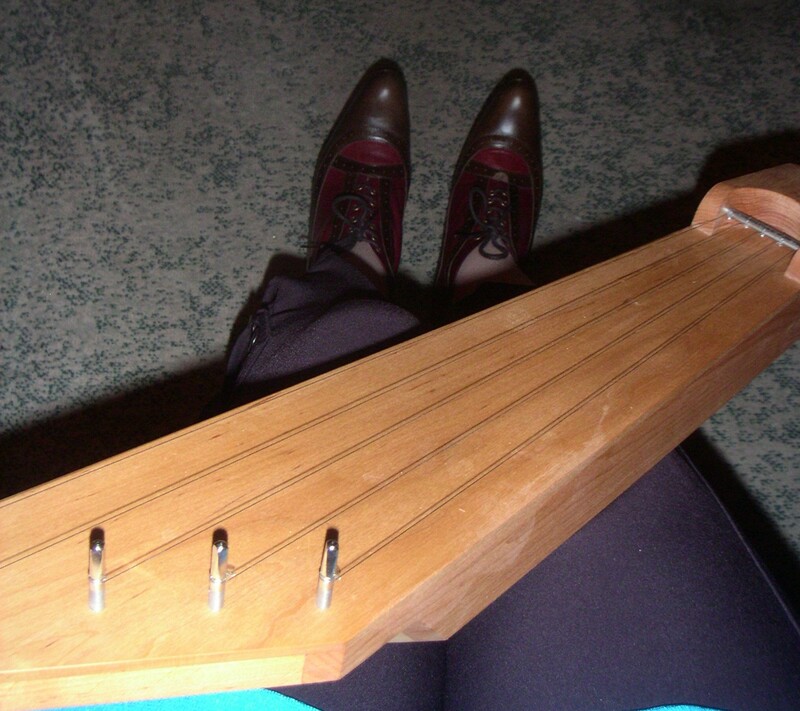 This year I imported a lovely little kantele from Finland and ordered a pair of funky Fluevogs from California. Both arrived Christmas Eve. I opened the parcels with happy anticipation, knowing I was going to love what was inside. Sometimes surprises are not all they’re cracked up to being. May all your surprises today be happy ones. If not, may you experience decisive empowerment, that improves your future.